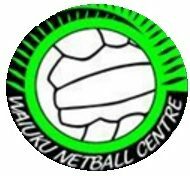 Practice Roster – Waiuku Netball Centre Inc.
"Your Team becomes your FAMILY, the ball becomes your BEST FRIEND, the court becomes your HOME, and the game becomes your LIFE." WNC Practice Roster for the season. PLEASE NOTE: This is subject to change so make sure you check it regularly. If you are wanting to change your practice night or need it to be on a different night one week please get in contact with the Secretary – waiukunetball@gmail.com so that she can book this in to the calendar.